In order to tell you what is going to happen is that this blog for the first time will be split in a blog you are known off me. In an hour, another blog will appear same episode but with the mythology found in this episode. I did this because otherwise the blog would be too big. I will reference to it in this blog. When we go to Lagertha foot army we see that Rollo has seen her and enclose her from behind. After she retreated Gisla wants to meet her she wants to know more about the female Viking warriors. If that is going to happen it will be when Ragnar is dead and Bjorn is not around. That is my idea because otherwise Rollo got killed for his treason. Was the enclosure by Roland´s army who destroyed the camp where Helga, Yidu, Ubbe and Hvitserk are. 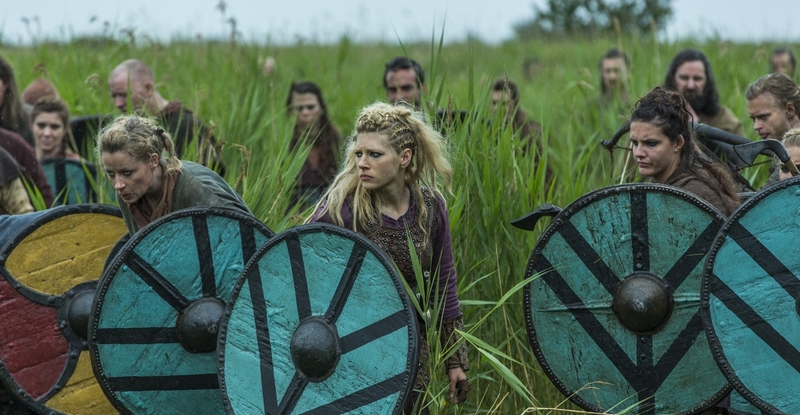 Later we found out that Yidu, Ubbe, and Hvitserk are alive and we see a heavenly wounded Helga found by King Harald. Will she make it or is she going to die something that needs to be answered in the next few episodes? In Wessex, we see the departure of King Eckbert to Mercia. (&) When he arrives in the mausoleum he meet the person W. aka Wixton. Wixton wants to stabilize Mercia as well and offers King Eckbert the crown of Mercia in return he needs to defeat the army who has concurred Mercia. Wixton wants his dead or a pilgrimage to Rome as a common beggar. I will only say this about Harbard and Aslaug and Sigurd it was an awkward scene one also the scene with Floki, Aslaug, and Harbard. 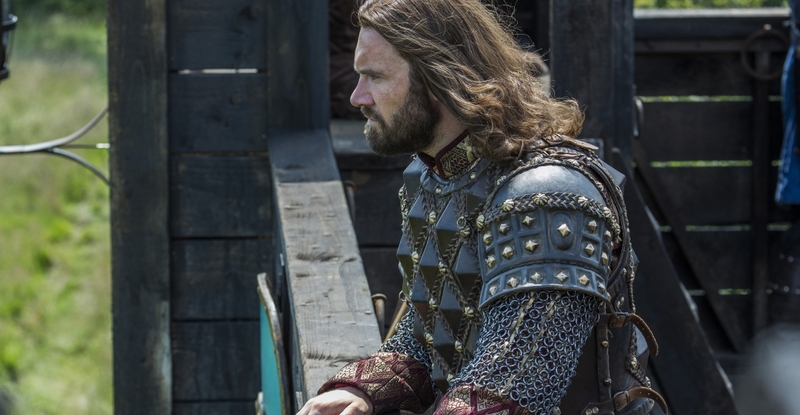 Also, Rollo's war cry and other things I find for you. I will tell you all about that in my other blog about the mythology and the findings I got in store for you later.